Origins of the "Bowl of Saki"
The title The Bowl of Saki was chosen around 1921 by students of Hazrat Inayat Khan who published a book containing some of the inspiring phrases that they had been given by their teacher. The first edition of The Bowl of Saki was published in England in late 1921 or early 1922. 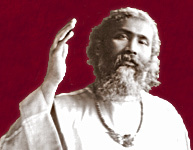 "a collection of some of the most striking and arresting sayings of Pir-o-Murshid, arranged in the form of a daily textbook"
For Inayat's students in the 1920's, the simple one-line Bowl of Saki quotes were probably powerful reminders of the lectures and discussions which they had so greatly enjoyed hearing directly from Inayat. However, now, some 90 years later, the modern reader of the daily Bowl of Saki quote is unlikely to have the benefit of recalling the original context or enjoying the potpourri of thoughts and memories that the recollection of the quotes may have stirred in those original students. The idea of adding the commentary arose after this web site initially began emailing just the basic daily quote, often only one inspiring sentence, as it had appeared in the original text. Nearly every day, readers wrote to me asking questions about the meaning, or the choice of words, or where they could find more about these ideas. And to each inquirer, I would send a few quotes directly from the works of Inayat Khan, because it seemed that no one could possibly explain Inayat Khan's thoughts better than Inayat Khan himself. Then, to help make the daily quotes more meaningful, each day I began including a few paragraphs of related text from the teachings of Inayat Khan. And after a few weeks I conducted a survey of the Bowl of Saki subscribers to see how many felt that the additional commentary was helpful. The response was overwhelmingly positive. So, I then set out on a great adventure to find relevant commentary for each and every one of the Bowl of Saki quotes. Therefore, the goal of the daily Bowl of Saki commentaries (as included with the daily Bowl of Saki email from wahiduddin.net) is to present a few paragraphs of the actual words from Inayat's talks and discussions which will hopefully provide a greater, richer context in which to appreciate, enjoy and (most importantly) embody the Bowl of Saki messages. Many of the Bowl of Saki quotes were phrases taken directly from specific lectures. If that specific lecture has been published, the daily commentary will include a paragraph or two of that original context, plus other additional passages from other lectures which may be helpful to clarify or further expand the meaning. There are, however, a significant number of the Bowl of Saki quotes which were derived from the personal notebooks which Inayat often used to record spur of the moment insights as they came to him. Such quotes are often somewhat more difficult to put into context, since the context of those quotes was Inayat's life itself, and the short little phrase in his personal notebook is sometimes all that was ever written on that topic. Fortunately however, it seems that those ideas, as recorded in his personal notebooks, often had an effect on Inayat's teachings and were the inspiration for specific comments which appeared in his subsequent lectures. So, for the quotes which came from Inayat's notebooks, the goal of the commentaries is to present the related comments which appear in his lectures, even though the wording may be somewhat different from the original impetus which was recorded in his personal notebook. Finding the words which seemed (to me) to provide "the best" commentary for each day was a difficult and time consuming task, requiring well over 3000 hours of concentrated effort which was largely completed over a period of about 2 years. The Bowl of Saki commentary is a continuing work in progress. For the most part, the commentaries do not change very much from year to year now, unless an even more compelling quote is discovered. Currently there is no book which collects all of the commentaries together, and it seems unlikely that there will ever be such a book since each day's quote and commentary would probably take at least one or two pages, and 366 days of text would likely take well over 600 pages, which would likely result in prohibitive cost and size. Therefore, the daily Bowl of Saki with commentary from Inayat Khan is currently available only from this web site via the internet. Amusingly, someone once sent me an email to say that they had canceled their subscription after a year because they had "read it already".... not saying that they had already mastered it all, not saying that it no longer suited them, not saying that they were called to another path, but simply because they had already read it. Alas, simply reading the words is not the point of this delightful work. The goal here is mastery. It is the act of practicing these ideals in every moment of daily life which is the challenge, and for most of us that takes repetition and effort, day after day, year after year. The Arabic word sāqī ساقی (also written as saqi or saki) literally means wine-server or wine-pourer and is frequently used in Persian poetry to describe the glorious Server who continually pours out the wine everlasting to all of mankind, while implying that only a completely empty bowl is truly ready to be filled with such a fine wine. For the Sufi, the greatest task of life is to become empty enough, selfless enough, to be a suitable receptacle for the wine which the Sāqī pours. In some cases, the word sāqī may be used as a reference to a specific spiritual teacher, but in the grand scheme of things, a spiritual teacher is merely a worldly symbol for the presence of the Beloved, the One and Only One. Some say that in order to be grammatically correct, the title should have been written as "The Bowl of the Sāqī," but frankly that title is rather clumsy and lacks poetic character... so, perhaps the present title The Bowl of Saki was never intended to be grammatically correct, but may instead be a playful bit of British humor which intertwines the mystical Persian imagery with the thought of the oriental rice wine that has a similar sounding name. It is doubtful that we will ever know exactly how the book title The Bowl of Saki was created, but really the more important matter is to understand the deep significance of the word sāqī and of the bowl, which might also be called a cup, or chalice. What makes the soul of the poet dance? Music. What makes the painter paint beautiful pictures, the musician sing beautiful songs? It is the inspiration that beauty gives. Therefore the Sufi has called this beauty sāqī , the divine Giver who gives the wine of life to all. In the imagery of the Sufi poets, this tavern is the world, and the sāqī is God. In whatever form the wine-giver comes and gives a wine, it is God who comes. In this way, by recognizing the sāqī , the wine-giver, in all forms, the Sufi worships God. He recognizes God in friend and foe as the wine-giver. Thy smile has brought my dead heart to life again; my life and death depend upon the closing and disclosing of Thy magic glance. O give me one more cup, O Sāqī, which I will value more than the whole life I have lived. Besides its precious work, which makes the eye superior to every other organ of the body, it is the expression of the beauty of body, mind and soul. Sufis, therefore, symbolize the eye by a cup of wine. Through the eyes, the secret hidden in man's heart is reflected into the heart of another. However much a person may try to conceal his secret, yet the reader can read it in his eyes, and can read there his pleasure, his displeasure, his joy, and his sorrow. A seer can see still farther. The seer can see the actual condition of man's soul through his eyes, his grade of evolution, his attitude in life, his outlook on life, and his condition, both hidden and manifest. Besides, to the passive soul of a disciple, knowledge, ecstasy, spiritual joy, and divine peace, all are given through the glance. One sees in everyday life that a person who is laughing in his mind with his lips closed can express his laughter through his glance, and the one who receives the glance at once catches the infectious mirth. Often the same happens through looking in the eyes of the sorrowful, in a moment one becomes filled with depression. And those whose secret is God, whose contemplation is the perfection of beauty, whose joy is endless in the realization of everlasting life, and from whose heart the spring of love is ever flowing, it is most appropriate that their glance should be called, symbolically, the Bowl of Saki, the Bowl of the Wine-Giver.